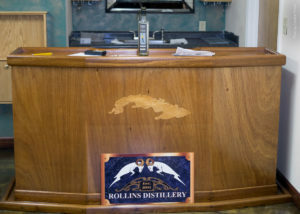 Rollins Distillery a family artisan-distillery in Gulf Breeze Florida to be opening soon. Gulf Breeze is a vibrant, small community in Santa Rosa County, in Northwest Florida and home of Paul A. Rollins, President of Rollins Distillery, a former Navy employee and passionate distiller. 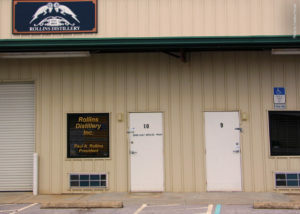 Rollins distillery is located at Gulf Breeze Pkwy and was completely flooded in May 2014, therefore opening plans have delayed. At it’s peak the water was about 9’’ high and damaged luckily mostly the building and cabinets rather than the distilling equipment. Paul Rollins has a passion for local traditions such as the Mardi Gras, knowing that the oldest annual Carnival celebration in the United States actually started in 1703 in Mobile Alabama about 15 years earlier than in New Orleans. During our brief visit Paul reveals planning on a special spirit edition for Mardi Gras and shows us label designs he was working on. “It is still chaos after the flood”, he states and shows us the pictures of his facility under water. Despite, the Rollins Spirits means not giving up! 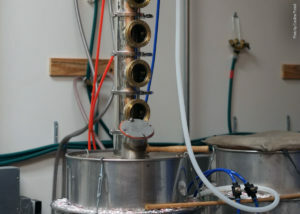 Paul is designing modifications to the still pot to create a very smooth and high quality rum and vodka. Rollins Distillery is wokring with a column still that behaves like a series of single pot stills, formed in a long and slim vertical tube. 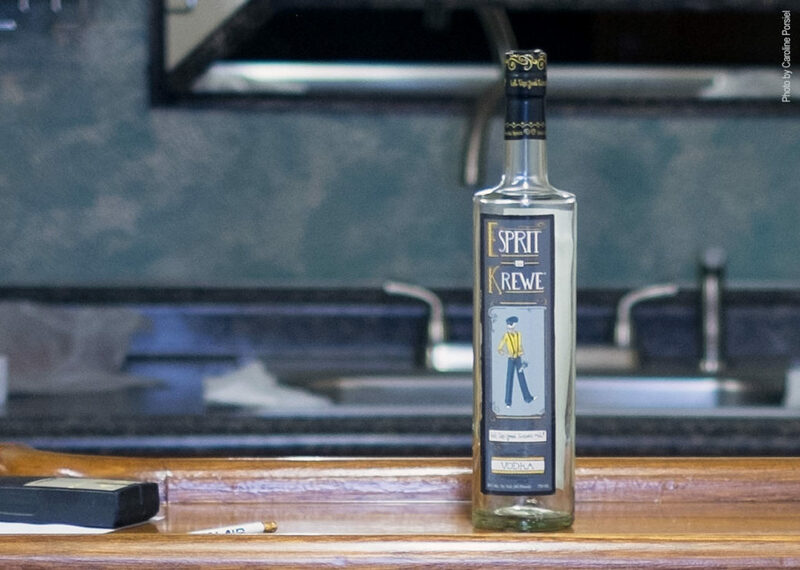 Their future products will be Esprit de Krewe Vodka, Christal Rum and Spiced Rum. We are looking forward to tasting it! The All American Beer Co.